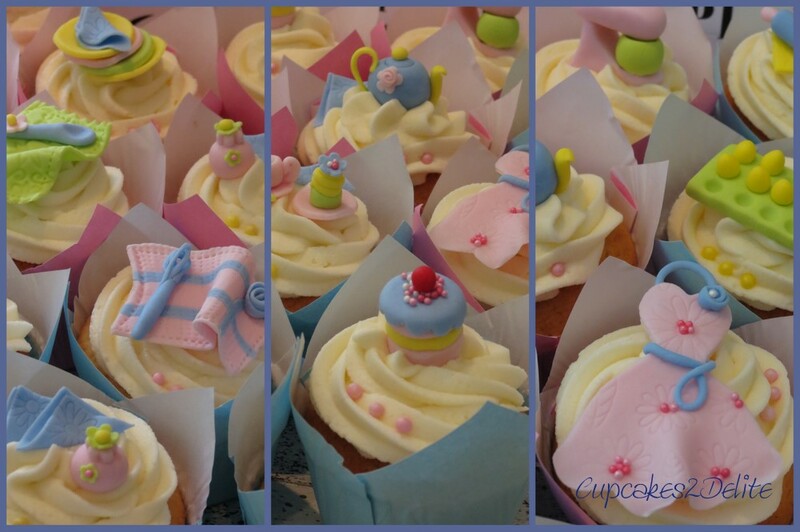 Kitchen Tea Cupcakes for Amy! Amy & Rick celebrated their wedding day yesterday and I was delighted when her mom, Tracy, asked me to do cupcakes for her kitchen tea a couple of weeks ago. I can’t resist posting the picture of all the dainty sugar art I made to decorate the cupcakes. 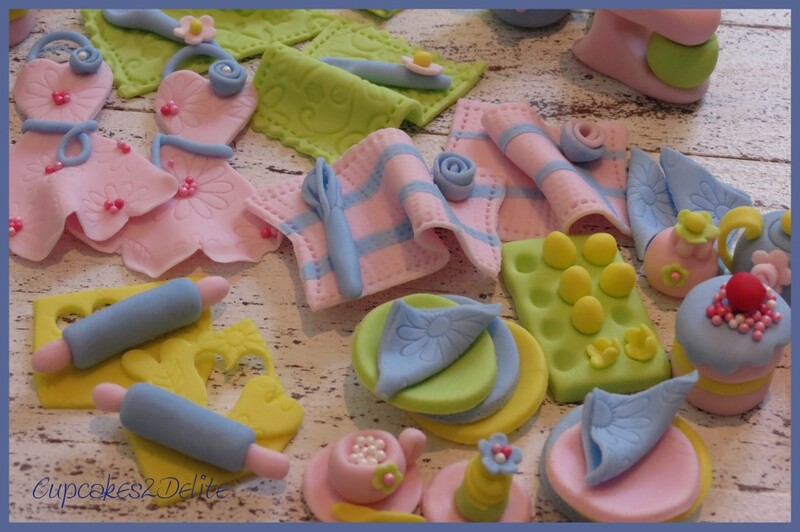 Tracy chose a pastel colour scheme for the day and I played with sugar paste for a couple of evenings making all the traditional kitchen tea rolling pins, tea pots, teacups, cakes, eggs and tea towels. The aprons I made using a dress cookie cutter and embossed sugar paste. The minute dragee and blue apron ties completed their look. I braved an egg whisk and Kitchen Aid as these are essentials for any bride to be in her kitchen. Tracy put hours of thought and loving care into preparing a wonderful kitchen tea for Amy and I was delighted to hear how the cupcakes complimented the day! Wishing you many exciting hours in the kitchen Amy preparing wonderful meals and tasty treats with and for Rick! 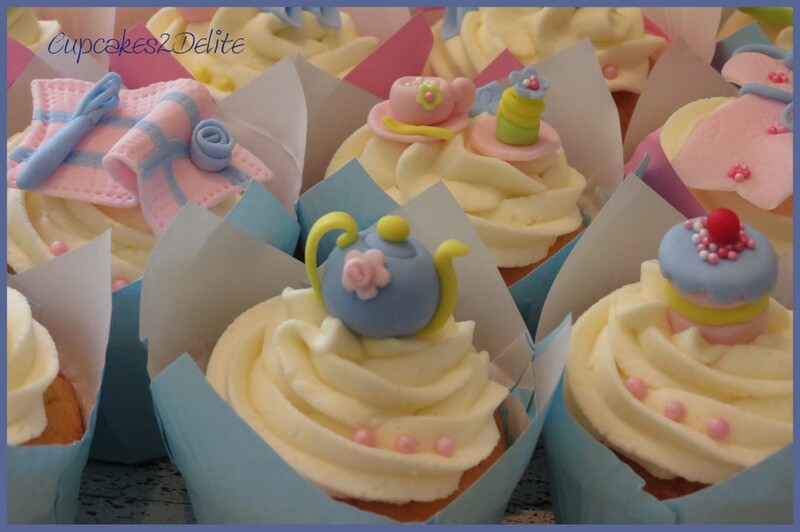 How original – really liking your designs for a kitchen tea!